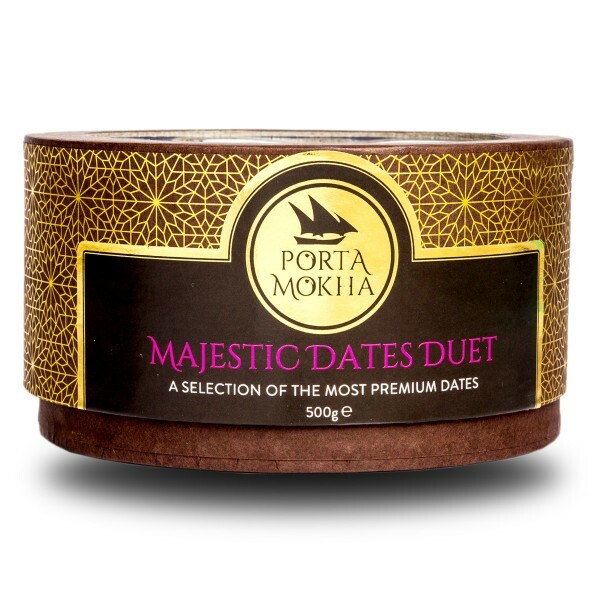 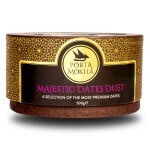 This duet of dates offers you to the ultimate of all types. 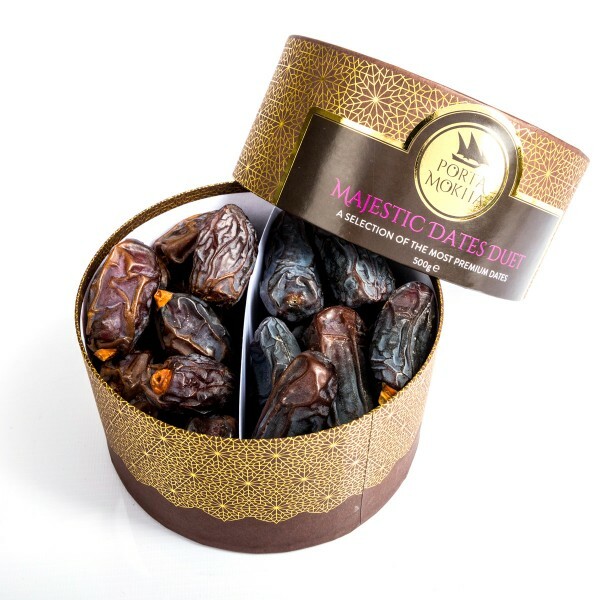 Medjool dates are luxuriously indulging and succulent known to be the King of Dates. Ambari dates are rich in taste, mighty in size providing you with a mouthful chewy and sweet taste.